Sky Player for Windows 7 has now launched, bringing the broadcasters wares to Windows Media Centre within the new Microsoft operating system. 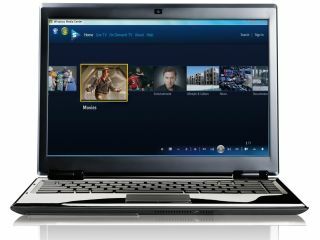 The announcement that Sky Player would be following its debut on the Xbox with a move into Windows Media Center was one of the few surprises from the Windows 7 launch. Although the launch date was then a mystery, Sky hinted to TechRadar that it would be sometime in November and that has proven to be the case. "Sky Player, Sky's online TV service launches on Windows 7 today creating a new and innovative way for people in the UK to watch live and on demand TV from Sky on a PC," said Sky's release. "The service is simple and easy to use and gives Windows 7 users access to the wide range of high-quality live and on demand pay TV currently on Sky Player, which includes the latest blockbuster movies, live action sports, must see entertainment, programming dedicated to kids, music, the arts and thought provoking documentaries." So what do you get? Well aside from a neat integration into Windows Media Center, you can take advantage of the Windows 7 touch functionality within WMC and search for shows using keywords, through the on-screen guide and, perhaps most importantly, view it all alongside whatever other TV platforms you have on your PC (ie Freeview). Two new live channels, Crime & Investigation Network and British Eurosport 2 are also being added to the service today bringing the number of live streaming TV channels currently available on Sky Player to 26. There is also VOD and premium movies available, and Sky has created a special offer to launch the new service. "To celebrate the launch of Sky Player on Windows 7, Sky and Microsoft are offering non Sky TV customers three months of Sky Player for the price of two with any Windows 7 purchase," states Sky. "Customers who already have Windows 7 can subscribe to the offer via the Sky Player sign in page in Windows Media Center." You will need a broadband connection of 2Mbps or more and the full retail version of Win 7.